According to data provided by the Organization, these figures include approximately 40m euros subsidies from the Ministry of Labour. All in all, compared to 2017, there has been an increase of about 18%, given that revenues in 2017 were roughly 173m euros. For 2019, there are hopes for further improvement that could even reach 10%. Nevertheless, it should be noted, that there is plenty of space for revenue improvement as long as free-riders of the new, electronic era are still present, due to the system's weaknesses, among which the opening time of the barriers at the Metro stations. This problem has been acknowledged by OASA, which has assigned NTUA to carry out a study regarding the boost of the system's efficiency. More than 1.7m passengers have now issued personalized and non-personalized smart cards by now. Out of these, 1,10m own personalized cards (about 5 times more compared to the old paper cards' system) while another 620k non-personalized cards have been issued by occasional users. According to the same figures, 7 out of 10 use discounted tickets, with discounts reaching up to 17 cents per ticket. Credit card transactions reached 20%, due to the ever-increasing availability of its use including all 293 new ticket vending machines, ticket offices at the stations as well as 500 kiosks around the city with POS. In December 2018, there was a rise of 9.8% compared to December 2017. In January 2019, there was another increase of 21% compared to January, last year. 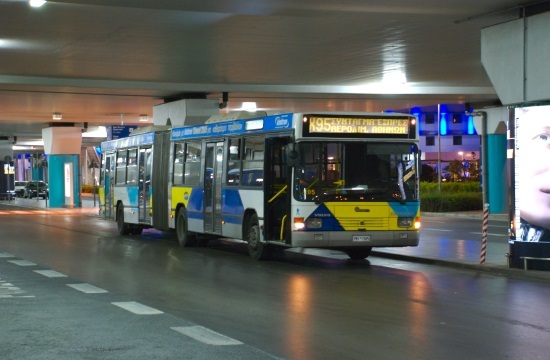 Another weak spot of the system is the lack of ticket inspection on buses and the Tram. However, as reported by OASA, starting from Friday, February 1, nearly 15,000 inspections have been conducted in the city's transport network, either fixed rail or buses.